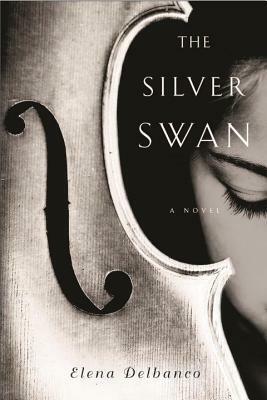 Thank you, Other Press for sending us a copy of Elena Delbanco’s novel, The Silver Swan. I will say from the start that this was a beautifully written novel, but I confess that I found the cast of characters to be surprisingly one-dimensional, which impacted the emotional investment that I had with the story. The novel centers around Mariana Feldmann, daughter of the revered cellist Alexander Feldmann. At the height of his incredible career as a soloist, Alexander came to possess the Silver Swan, a rare and wildly valuable Stradivarius masterpiece, which dated back to 1712. This instrument became part of Alexander, and the music that he played on it was otherworldly. Mariana, also a gifted cellist, always believed that she would inherit the Swan when Alexander passed away. Mariana’s own career as a cellist was on track to surpass that of her father’s. Her natural talent was noted by everyone in the industry and when she played for audiences, they would swoon with grand appreciation. However, for reasons that were temporarily unclear, Mariana gave up the chance to be a world renowned soloist before her career had a chance to soar. Instead, Mariana spent her time caring for her eccentric father as he aged, and devoting herself to his well being until his final days. Mariana’s unwavering devotion to her father made the reading of his will almost impossible for her to comprehend. What made this will reading even more uncomfortable were the people who were there to hear it with her. Having recently learned that her father was not actually in love with her mother, Mariana now comes face-to-face with Francine Roselle, her father’s longtime lover from Switzerland. Accompanying Francine is her son Claude, a student of Alexander, and an accomplished cellist in his own right. Claude, at the cusp of making his American debut as a soloist, is wholly unaware of his mother’s affair. What happens next is a terrible surprise to Mariana, but of little surprise to the reader. It is Claude, and not Mariana who is given the Silver Swan. While the will stipulates that Mariana will be given her father’s properties and the other valuable cellos in his collection, the Swan is not hers. She’s understandably crushed. She leaves the meeting abruptly, and in tears. Claude, who seems to be just as surprised as anyone by the gift, is concerned about the reaction that this beautiful woman has had. He vows to make it up to her, and reaches out. So what should a smart, talented young woman, facing her father’s deceit do in this circumstance? Start an affair with the recipient of the Swan, of course. This is where the novel came to a screeching halt for me. I found this new romantic relationship immensely odd. Rather than attempt to get back what is rightfully hers, Mariana falls in love with Claude. In turn, he is completely smitten with her, and the two of them quietly carry on their own affair. And it was here that I winced and guessed the novel’s big reveal. In truth, I wanted to be wrong. I don’t like figuring out a book too soon, but I’m afraid that I predicted the book’s twist quite early. In truth, while this “twist” made sense (all things considered), I wanted more creativity from the book’s turning point. While I appreciate the gasp that this revelation was supposed to bring about, I wound up shaking my head and wishing that the book had taken a different direction. This is not to say that I didn’t enjoy The Silver Swan. I did. It’s well written, and it moves along at a very fast pace. If you have the time, this could easily be a book that you’ll read in a single sitting. I just found that while the plot brimmed with wonderful promise, the story rushed to the finish line in a predictable format. The end of the book was clean and neat, but I just wanted more for Mariana. Her talent demanded it. 3 stars for The Silver Swan.